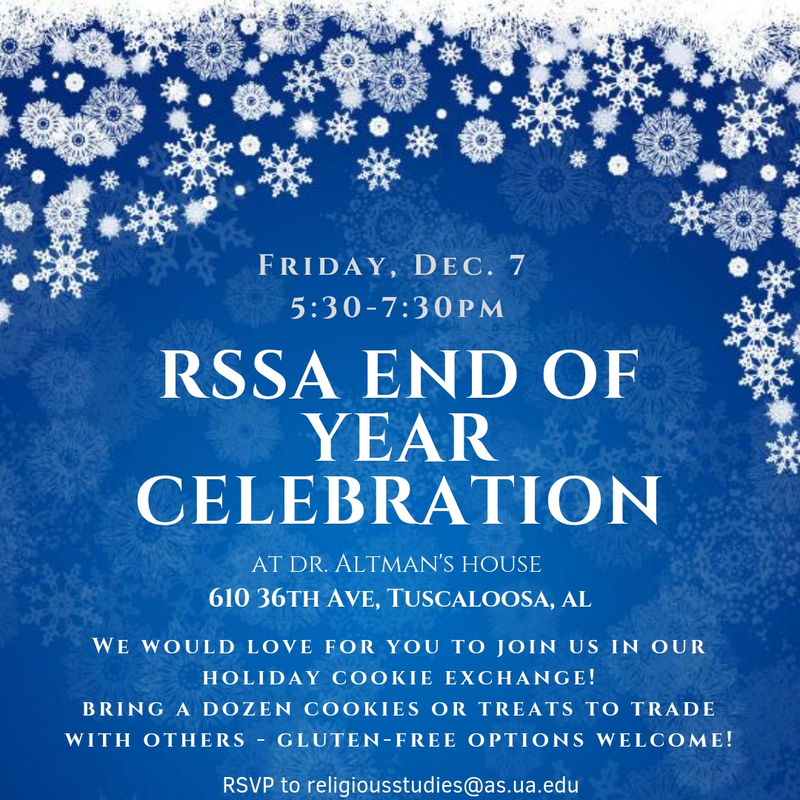 Join the RSSA and Religious Studies faculty for our End of the Year Celebration on Friday, Dec. 7 from 5:30-7:30pm. The event will be held at Dr. Mike Altman’s house – 610 36th Ave, Tuscaloosa, AL 35401. We will be having a holiday cookie exchange, so we encourage you to bring around a dozen cookies or treats to trade with others! Gluten-free options are welcome as well. RSVP by emailing religiousstudies@as.ua.edu. We can’t wait to see you there!